Head-To-Toe® Wash and Shampoo is rated 4.7 out of 5 by 814. Your baby's skin may look perfect, but it is very delicate so it needs extra special care throughout the first years of life. 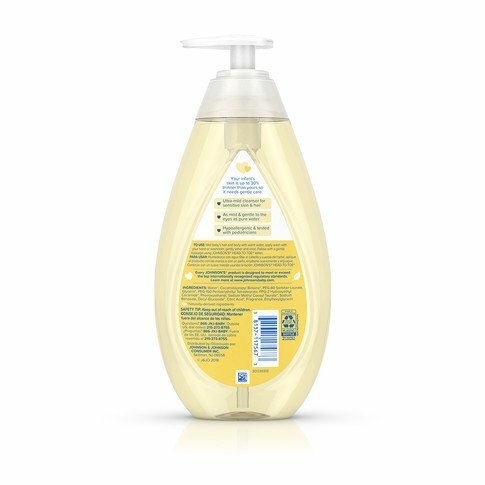 Head-To-Toe® baby wash and shampoo is an ultra-mild, gentle cleanser for your newborn’s sensitive skin and eyes. The No More Tears® formula allows for a tear-free experience and is as gentle to the eyes as pure water. 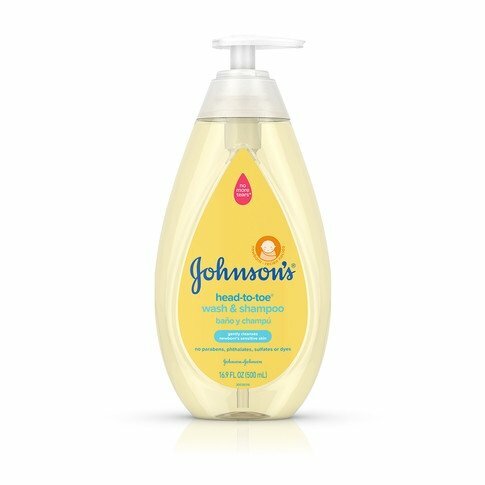 No parabens, phthalates, sulfates or dyes. 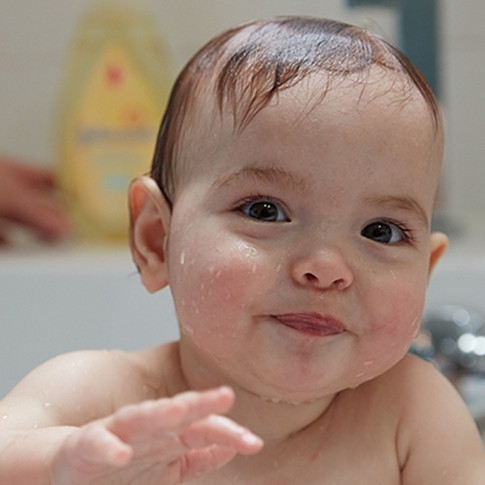 Wet baby's hair and body with warm water, apply baby wash with your hand or washcloth, gently lather and rinse. Follow with a gentle massage using Head-To-Toe® lotion. *Keep out of reach of children. Do not use if quality seal is broken. Enter a Postal Code to find stores which may carry this product. Product availability varies by store location. Check with store location for product availability.